Finally, choose the CRM you want to sync, tap the Enable button. You will be redirected to the CRM’s login screen. Enter your login credentials to synchronize the account. Users can enable HubSpot and Salesforce simultaneously. Contacts syncing to Salesforce must have one of the following editions – Enterprise Edition, Unlimited Edition, Performance Edition, Developer Edition. To begin, go to the Dashboard screen. In the bottom navigation bar, tap Scanner. 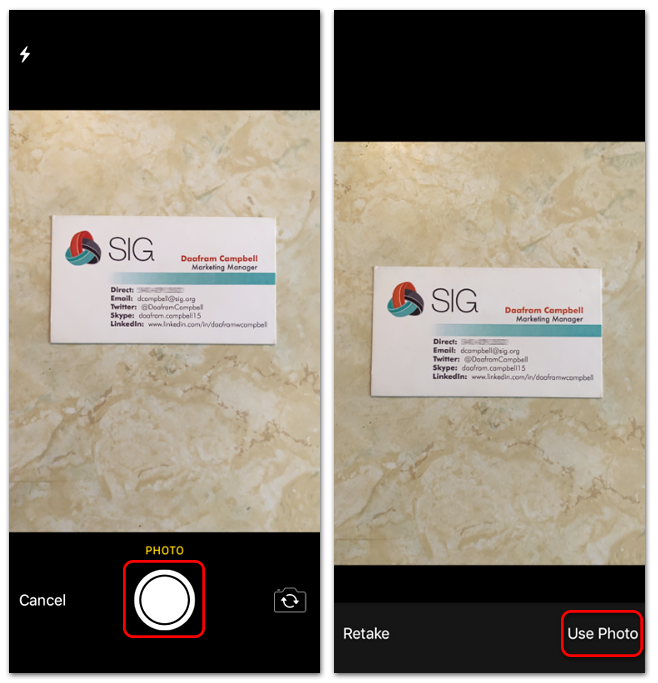 Next, take a photo of the business card with your device by tapping the Photo button. Make sure there’s adequate lighting and there isn’t any severe glare or blur. Refresh the screen or exit the app to reveal the new contact. Tap on the Contact Thread. Finally, on the Edit Contact screen, review the accuracy of the information. Make edits if needed. 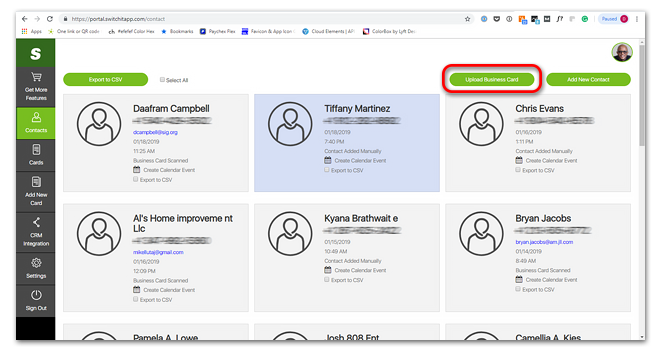 The new contact will save in Switchit’s contacts and your CRM. In the new contact thread, a digital copy of the business card is stored for future reference. 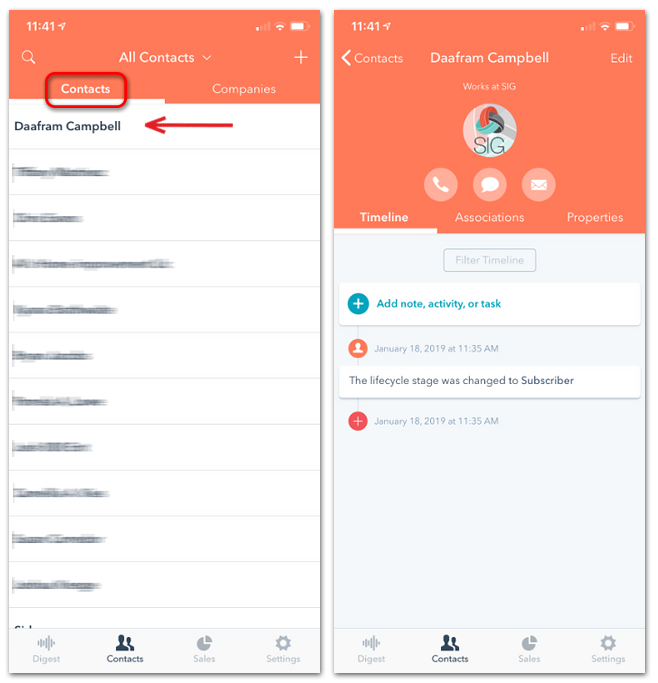 Open the HubSpot app (or desktop), go to Contacts to view the new contact on the dashboard. 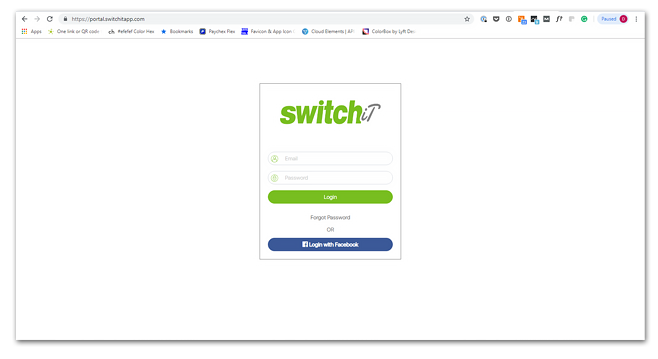 If you don’t have your phone handy, you can still scan business cards to save in Switchit and your CRM from a desktop computer. It’s simple! Next, while on the Contacts screen, click Upload Business Card. You will need to upload an image of the business card. Finally, once an image of the business card is uploaded, the new contact will appear on the Contacts screen, your CRM, and Switchit. Thanks to technology, your phone, and its camera, turning business cards into digital contacts is simple. Next time someone hands you a business card, give Switchit a try. The business card scanner and CRM integration features come standard in Premium Switchit accounts.